iB Food is one of the UK’s leading catering suppliers & wholesalers of speciality authentic Mediterranean and Italian chef ingredients, sourced direct from Italy, made to traditional regional recipes using only home made or local produce. We are proud to announce the merger with Menu Srl, one of the leading suppliers to the catering food speciality sector as well as to the restaurant and hotel trade with over 60 years of experience in the business. We currently have over 300 products in our portfolio including more than 35 types of pasta (premium quality, dried egg pasta that comes in many unusual shapes and sizes) and many combinations of sauce ingredients from Ceps and Truffle to Walnut. 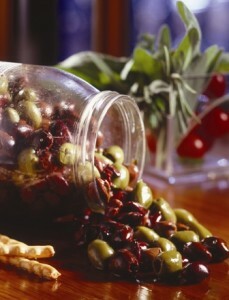 It is true to say we have everything you need to create exquisite Mediterranean and Italian cuisine. Our range provides the innovative chef with a simple way to develop and create exciting dishes with the minimum of labour and time. And, because the ingredients are already preserved they are not subject to seasonality, therefore consistency of supply, quality and taste is guaranteed. As UK suppliers & wholesalers of high quality egg pasta, extra virgin olive oils, ambient meats, sauces and speciality ingredients, with iB Food you’ll spend less time finding products and have more time free in the kitchen to develop new recipes and to devote time to the other Vital Ingredient, your precious customers.